The Sightseer sports a “Toreador” full-body paint design, one of several colour schemes available. 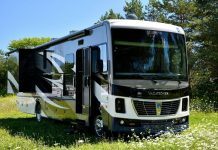 With the Canadian dollar strong, and the sound of the open road beckoning, we sent the Road Test Team to find a mid-range class A motorhome that could be the benchmark for the category. 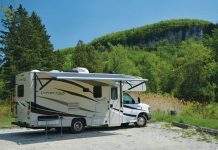 Our search took us to Sicard RV, in Smithville, Ontario, to test drive the Winnebago Sightseer 35 J – a full-size motorhome with all the features a modern family needs, at a very attractive price. 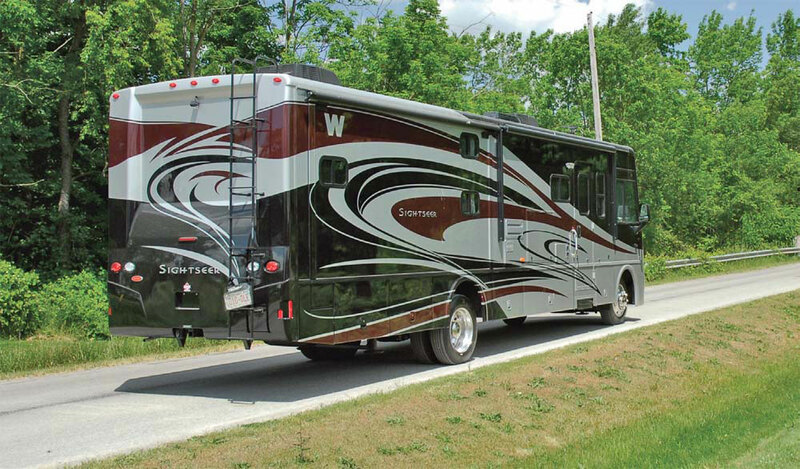 The Sightseer embodies comfort, convenience, and style in a vehicle that loves the open road. Slip behind the wheel, and you will appreciate the many years of experience that have gone into the engineering of the motorhome. 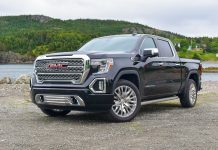 The F53 chassis with a 362-hp 6.8L Super Duty V10 SEFI Triton® engine and TorqShift™ 5-speed automatic transmission w/tow haul mode is smooth and quiet, and the 4-wheel ABS Hydro-Max™ power brakes are strong and secure – the driving experience is relaxed, visibility is excellent, and all of the gauges and controls are at your fingertips. Our test vehicle was equipped with optional MCD American Duo® powered front roller shades with solar and blackout shades and privacy curtains for driver and passenger windows; ideal to block the light when you are driving off into the sunset. The unit also featured power mirrors with defrost and a rearview color monitor system with one-way audio, great for all-round cruising, and especially useful for backing into campsites. A side-view color camera monitor system is available as an option, and we recommend this – try it once and you won’t leave home without it. For more control over the Canadian climate, you may want to add the optional windshield defroster fans. 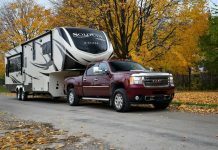 The optional six-way power Ultraleather™ cab seats are very comfortable, and they rotate to face the living space when you are in the campsite. The standard Cab Seats have armrests, lumbar support and multi-adjustable slide/recline/swivel. Your navigator will enjoy the multifunction dash workstation, ideal for a laptop-based GPS system or entertainment on the road. 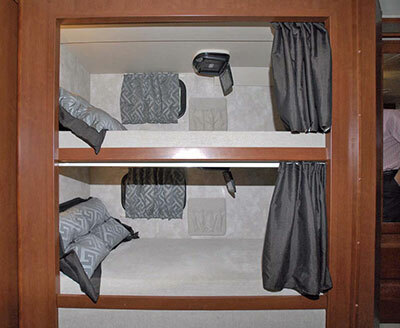 For the ultimate convenience, the Sightseer is equipped with a 5,000-lb. trailer hitch that features a drawbar/500-lb. maximum vertical tongue weight, ideal for towing a small car or a boat. A connector is provided for 7-pin trailer wiring. 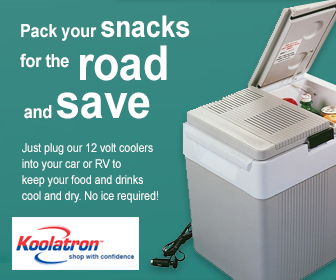 Your RV dealer can sell you an inexpensive adapter for 4-pin boat or utility trailers. 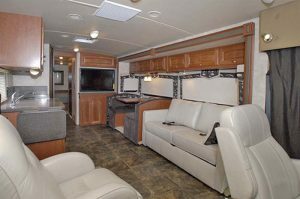 If you are new to the full-size class A sector, you will have no trouble at all getting used to the Sightseer – with Power assist steering, an adjustable tilt wheel, and cruise control, this motorhome is fun to drive! While many motorhomes at this price range tend to be bland, the Sightseer is a visual delight, with lively Toreador fullbody paint scheme. You can choose from deluxe graphics or customize your look with one of four full-body paint options. 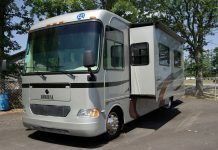 This motorhome will turn heads and impress RV enthusiasts with it’s stylized 22.5 aluminum wheels, lower front protective mask (available with the full-body paint option) and many upgrades that make RV camping a pure delight. We really like the power awnings and retractable entry steps, the residential quality screen door, and the generous exterior storage compartments with latches and locks that work like a charm without breaking fingernails. The KeyOne™ lock system is a real plus, eliminating the customary fumbling for the right key among a fistful of choices. 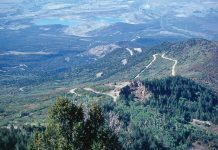 The windows on the driver’s side of the motorhome are large, so you might want to pick a campsite where the scenic view is on the left side of the vehicle. 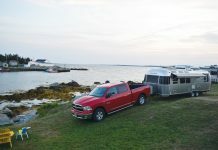 The passenger side is shaded by the 14-foot awning, and houses some of your key recreational components – for example, our test vehicle was equipped with optional exterior entertainment center, including stereo, DVD player and 32” LCD TV built right into the sidewall. 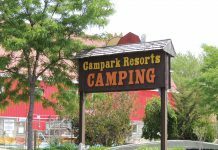 When you pull into a campsite, it becomes obvious that Winnebago engineers and designers are campers – everything that you need to hook-up your water, sewer, electrical and entertainment systems is contained within the service compartments, placed just where they should be to match the standard campsite facilities. The compartments are easily accessible, and well-lit for your convenience. Setting up the Sightseer in the campsite only takes a few minutes. For a drive-through site, you just pull in, and park. For a back-in site, the rear view camera with audio lets you maneuver on your own, or with the help of your navigator. 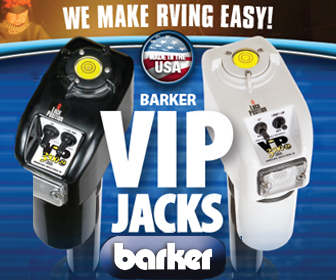 Once you have parked, verified that you have clearance for the slide-out sections and the TV antenna, you set the parking brake and activate the automatic hydraulic leveling jacks using the 3-position controls. 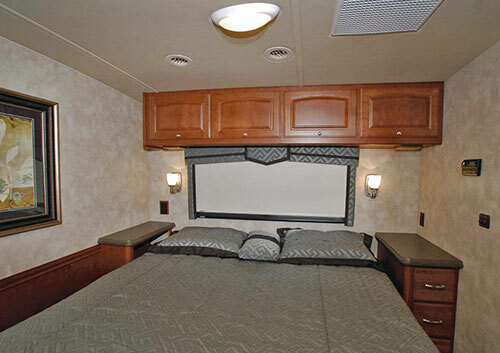 The Winnebago OnePlace® systems center and PowerLine® energy management system make RV’ing a breeze. With a True Level Tank Monitoring System that uses sonar technology for accurate readings, you always know where you stand with regard to water and holding tank levels. 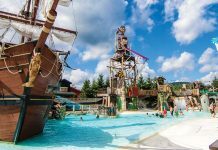 Our Road Test Teams usually take about five minutes to park, level, and extend the slides, and another two or three minutes to attach the water, sewer and electrical connections. We use colour-coded ribbons clipped to the sun visor to remind us to retract the slides, disconnect the cables and hoses, and lower the TV antenna before we leave the campsite. The Sightseer is a mid-range motorhome from the décor perspective, but the value embodied in the ingenious floor plan and quality of materials and workmanship is impressive. For a family of four to six people, the vehicle provides all the comforts and convenience of home with an excellent layout for travelling and entertaining. 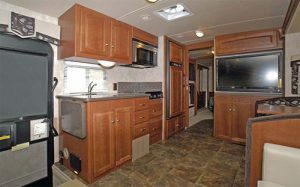 The Sightseer is available in four models, with floor plans suited for the active family, or full-time retirees. Our unit was finished in the Imperial/ Brown colour scheme, with honey cherry cabinetry. On the road, there are ample seating positions for your passengers, and you can enjoy the stereo system with AM/FM radio, CD/DVD player, and, of course, a front input jack for the i-Pod. A handy remote lets you control the sound level and select various inputs. 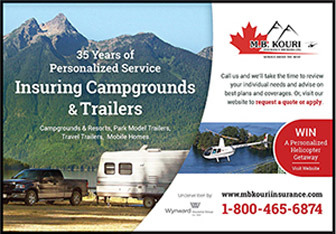 If you equip your motorhome with the optional Onan Marquis Gold gas generator, the passengers can watch the 42” LCD TV as you roll down the RV roads to adventure. An additional 32” LCD TV is available as an option for the bedroom. 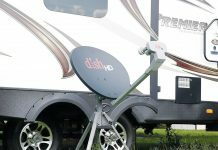 A Satellite dish antenna with remote extender is available as an option – you have to arrange your own satellite TV service. Our crew usually travel seated on the Comfort Sofa Sleeper, with additional passengers choosing the BenchMark dinette seats for a better view of the passing scenery. 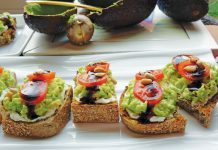 While the interior décor is not as opulent as some of the higher-priced models, the fit and finish of the cabinetry, the choice of materials, and the overall décor is well above what you might expect at this price point. The Sightseer offers a choice of floor coverings, to match the usage pattern for the various areas within the vehicle – there is vinyl floor covering from the front to the bedroom; the cab area, slide-outs and bedroom are carpeted. 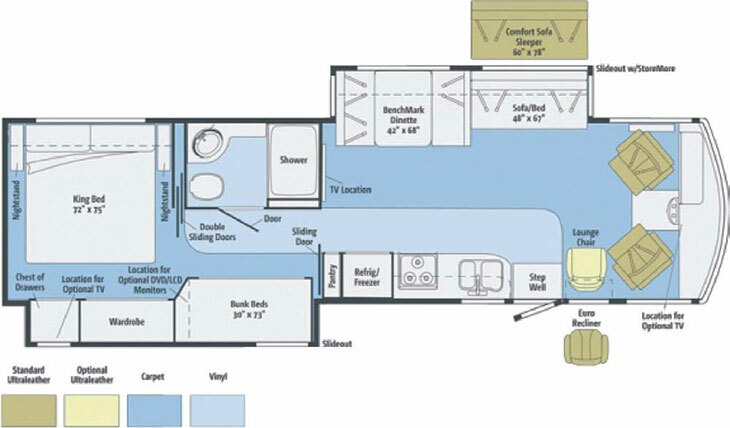 While some floor plans feature compact galleys and lots of lounge seating, the 35J focuses on a spacious and fullyequipped kitchen. Lots of cupboard and drawer space, Corian® countertops, a flip-up countertop extension and sink/ range covers expand your meal preparation area. RV gourmets will appreciate the three-burner range top, microwave oven with vented range hood, pullout pantry and 2-door refrigerator/freezer. A larger refrigerator and a microwave/convection oven with vented range hood are available as options. Our Sightseer 35J featured a floor plan ideally suited for a family with small children. The rear master bedroom featured a king-size bed with innerspring mattress and colour coordinated bedspread, pillows and shams. The bedroom has an ensuite vanity and a generous allotment of drawers and closet space. In the 35J, bunk beds are nestled into a private area just forward of the rear bedroom. These were a big hit with the youngsters – each bunk has an optional personal DVD player with 8.5” LCD monitor and headphones in the “ceiling”, and privacy curtains. Our Road Test Team tried out the bunks, and declared them to be “very cool”, with foam mattresses, mattress covers, pillows with shams and privacy curtains, this area is comfortable and spacious enough for adult accommodation. 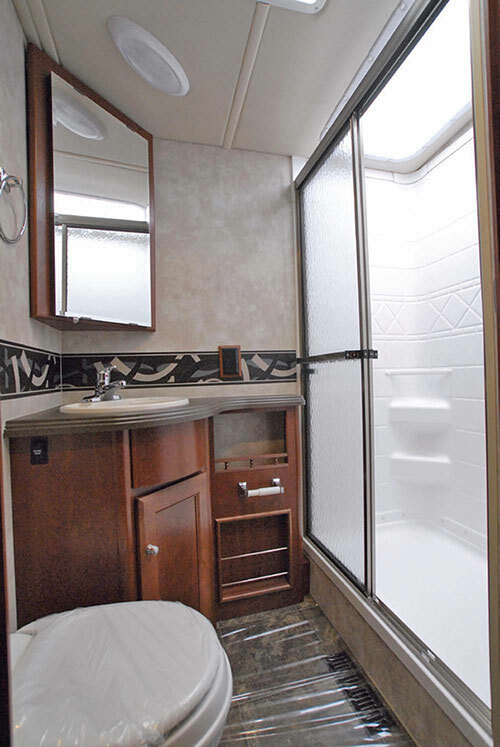 The Sightseer bathroom includes a shower with sliding textured glass door, a vanity with Thermo-formed laminated countertop, and a skylight. Winnebago has been known for high quality construction for decades, and modern technology has been applied to maintain that reputation. Specially engineered interlocking joints connect the floor, sidewalls and crowned, one-piece fiberglass roof into a cohesive unit. Durable and lightweight Thermo-Panel® sidewalls are a sandwich of fiberglass, high-density block-foam insulation and inner wall surface with aluminum support structures. Metal substructures are placed at key locations to secure cabinets and appliances, adding to the stability and safety of the vehicle. Critical steel components are protected by an electrodeposition coating. 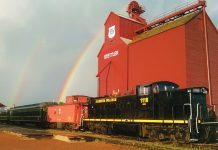 The Sightseer heating and cooling system includes twin high-efficiency roof air conditioners with energy management system, and a 40,000 BTU low-profile ducted furnace. You can select an optional upgrade to a pair of high-efficiency roof air conditioners with heat pumps. The 55 amp AC/DC electrical distribution system includes a converter/ charger with automatic dual-battery charge control and auxiliary start circuit , with two deep cycle Group 31 batteries hooked into a coach/chassis battery disconnect system. If you opt for the 5,500-watt Cummins Onan® Marquis Gold™ gas generator there is a generator/ shoreline automatic changeover switch. A 1,000-watt inverter is available as an option. The plumbing System features a very well-planned service Center with colour-coded labels. 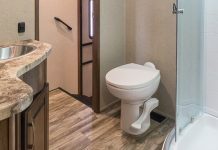 In this compartment you will find your cable TV input, pressurized city water hook-up w/ diverter valve, 3” drainage valve, portable satellite dish hook-up, power cord, 10’ sewer hose, QuickPort, and exterior wash station w/lighted pump switch. There is a 6-gallon 110 V/LP water heater with motoraid and auto heater, and an on-demand water pump. 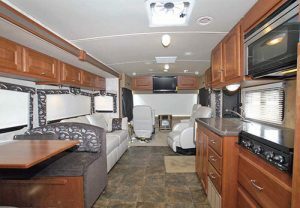 The Sightseer has a winterization package including a water heater bypass valve and siphon tube, and the holding tank compartment is heated. The LP gas tank is permanently mounted, and easily accessible. Touch a switch on the monitor panel and you can get an instant read-out of the LP gas level.